Take the kids for a horse riding! This 3 are unseparable! Renee is one of their closest friend. 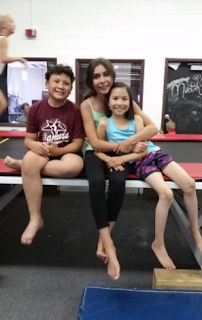 They are happy that she join the gymnastic class with them. 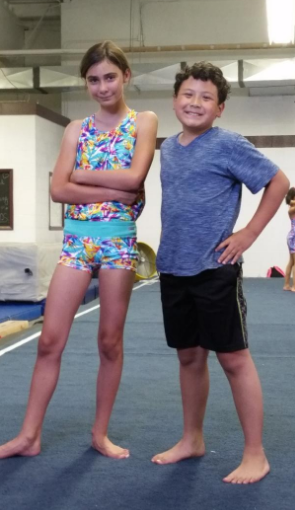 This is their 2nd time around at their gymnastic class. So they are at the Intermediate Class. Dana learns fast, her cartwheel improves a lot. Dustin still need a lot of practice. 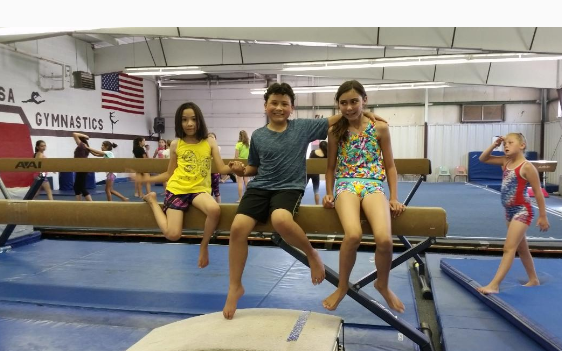 He just doing it for fun and helps a lot in his balance, he doesn't care if he's the only boy in the class too. So yes, this is what they do on the month of June. For the month of July? no gymnastic class but we do a lot of things as a family and we go out in the ministry most of the time this month. They are also looking forward for their school next month! 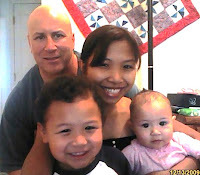 They both choose to do homeschool so I will be very busy assisting them at their school that time.